Every once and a while, one comes across a whisky that is a piece of history. Crafted to commemorate a special occasion. Next up from the Collector’s Room at Whisky Live Singapore 2016 was one such whisky. 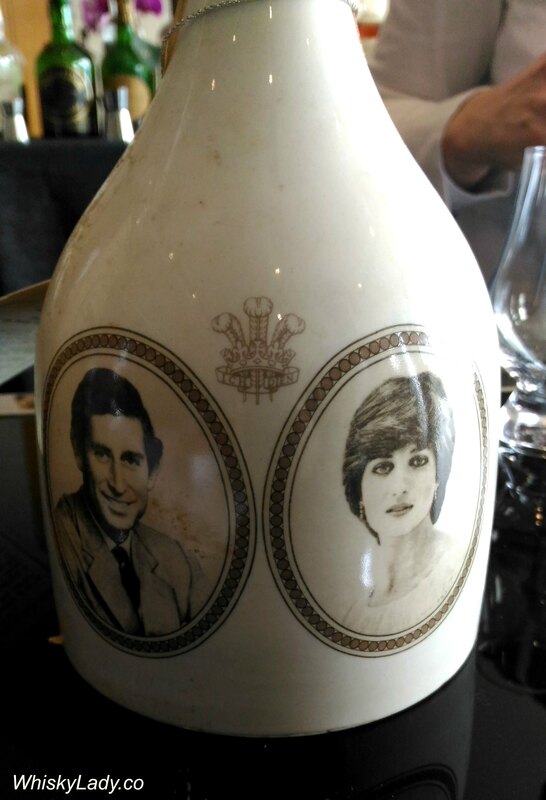 Bottled in a white ceramic decanter at cask strength, Bruichladdich 1965 was released in 1981 to celebrate the Royal Wedding of Prince Charles & Lady Di. It reminded me of an operatic aria – with achingly beautiful high notes from the 1st soprano which were then joined by rich contralto harmonies and then tenor counter point. This whisky last retailed for approximately $500… with a warning that it should be carefully weighed before purchasing as some decanters experienced severe evaporation over the years. I will confess, I hadn’t originally planned to try this whisky. But was persuaded by the lass from La Maison du Whisky… and am so glad I was steered its way. This is one of those unique drams that is completely memorable – a complete original. Following this stunning whisky, I was given a nip of the Bruichladdich 10 year Samaroli 58% from the 1970s. While not bad, it was somehow lacking ‘soul’. This entry was posted in Islay, Scotland, Whisky General and tagged Bruichladdich, Bruichladdich 15 year, Bruichladdich Royal Wedding, Whisky Live by Carissa Hickling. Bookmark the permalink.